Since the beginning of the season, everyone has had high expectations for the Wake Forest men’s soccer team. After a strong season that ended just short of the national title, this year’s team has big shoes to fill if they want to replicate the success of last season and finally bring the national title back home. So far, this year’s team has been living up to the hype and more. Leading up to the Boston College game last Friday, the Demon Deacons only needed a win or a tie to clinch the Atlantic division title and home-field advantage through the ACC championship as the No. 1 seed in the ACC. The Deacons started out hot and kept putting pressure on the Eagles defense. Boston College held up well against the Wake Forest high-octane offense, and the game seemed destined to go tied into the half. However, with six seconds left to halftime, Omir Fernandez netted his fourth goal of the season assisted by Logan Gdula and Steven Echevarria. And this wasn’t Fernandez’s only contribution during the match. The midfielder scored again in the 67th minute after an assist by Jon Bakero, to increase the lead to 2-0. This was Bakero’s 13th assist of the season, tying his previous mark for third all-time regular season record in the program’s history. Justin McMaster also scored after a rebound off a Fernandez attempt. 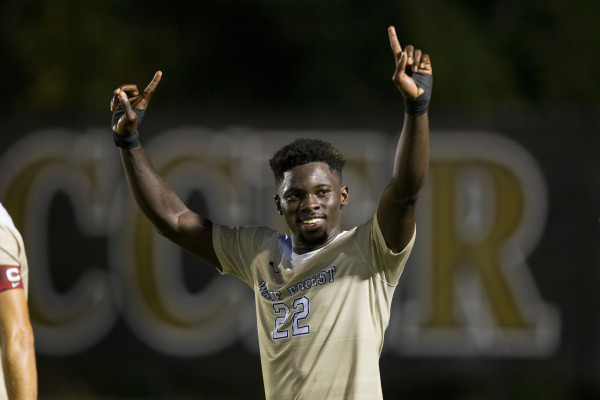 After Boston College’s Henry Balf exited the match due to a red card, the Deacs took advantage of the numerical edge and subsequently Ema Twumasi scored after an assist by Brandon Servania. Twumasi scored his ninth goal of the season only trailing Bakero’s 11 goals for the team lead. Brandon Servania also got his ninth assist of the season on that play, moving him into a tie for the third-best mark by a freshman in the program’s history. This year’s freshman class has definitely stepped up and helped fill the void left by the departure of big names like Harkes and Hayes to the MLS last season. The continuous development of veteran players into more prominent roles has been an amazing story to keep an eye on during this year’s regular season too. Guys like Steven Echevarria and Luis Argudo (Senior) have been major contributors to the overall team success. Argudo has been consistently playing better, but his biggest jump was on the scoring chart. Before this season Argudo had only scored two goals as a college player, however this year Argudo already scored eight goals and made five assists only trailing Jon Bakero (35) and Ema Twumasi (23) for most total points on the team this season with 21. Echevarria can be most recognized by his late-game heroics against Clemson in overtime that gave the Deacons the 3×2 win over a very good top 10 Clemson squad. After being benched early on in the season, nobody outside of the Wake Forest coaching staff expected Echevarria to come up big in this game. Which lead me to my first point in this article: Expectations. So far, this Wake Forest team has certainly been one of the most fun to watch in recent history. From a coaching staff standpoint, there is always room for improvement. This team is no different, as sometimes throughout the season the Old Gold and Black squad struggled to defend dead ball situations. Nevertheless, the Demon Deacons’ regular season has been as good as anyone could ever hope for. Leading up to their last regular season matchup this Friday 7 p.m. at Spry Stadium against Syracuse, Wake Forest is on a 12-game winning streak with eight out of those 12 games being shutout wins. The Demon Deacons also are sitting atop the United Soccer Coaches ranking as the No. 1 team in the country for the first time this season. 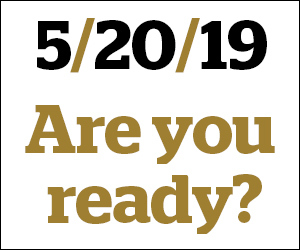 From this point on, the stakes are only going to get higher as the Wake Forest team is headed to another ACC Championship and eventually the College Cup. But, this year’s Demon Deacons have more momentum than ever to make a long postseason run. The expectations are high regarding this team’s potential to make it back to the title game. If the regular season is any indication of things to come, this team is not shying away from the bright lights and big expectations.